Tampa Bay Rays Clinch The American League Wildcard! Anyone who questions the pure determination of our Tampa Bay Rays simply does not understand what we know about this team! During off season this year, Tampa cut an insane number of our premiere players in order to drastically cut the payroll. Such stars as Carl Crawford, Carlos Pena, Matt Garza and Rafael Soriano were sent on their way. But behind it all, Joe Madden led the team through cherry picked replacements such as Matt Damon, Casey Kotchman and some strong rookie muscle to our bullpen. All of the players know Madden never looses his confidence or his calm… creating an environment that makes the players enjoy the game with a highly competitive spirit. September has been a stellar month for the Rays! Struggling to find consistency within it newly patched together team, they began September 9 games behind the Boston Red Sox vying for the American League wildcard spot! This is where Madden and his team began to pull it together and game by game decrease that spread. By last night, they were neck and neck with Boston… and we were playing the Yankees! Boston was playing Baltimore. Depending on the score of those two games, there would either be a wildcard winner or a tie-breaker to be played on Thursday! When the Yankees came out fighting, The Rays saw a devastating 0-7 score facing their wildcard race… at the same time keeping up with the Boston game (they were winning 3-2). Most people would think that was pretty bleak… but the 8th inning changed the game and the deficit was narrowed to 6-7. In the bottom of the 9th inning, with 2 outs on the scoreboard, Madden brought in Dan Johnson as a pitch hitter. As the announcer said, “Johnson is here for one reason and one reason only.” And sure enough he pops one out there tying up the game and leading the team into extra innings. In the bottom of the 12th inning, the word came up on the scoreboard that the Baltimore Orioles had beat the Red Sox!! Cheers roared in the crowd… if we could win this game, the AL wildcard belonged to the Rays. And Evan Longoria’s dramatic homer did just that! This team simply does not lose its spirit and they never give up even when the odds are stacked against them. Play offs begin Friday against the Texas Rangers… GO RAYS!!! Luxury Living On The Beach – Focus On Sereno! The PURTEE Team has been active in real estate along the barrier islands of Tampa Bay for a decade now. Through the years we have watched the area explode in buyer frenzy with new developments popping up on every street corner… to the point that the building crane was a constant picture on the horizon! Then, in 2007, we saw the market begin to tumble and buyers take a drastic hit in their waterfront dream homes. 2008-2010 were hard years for the economy and the Florida beachfront was no exception. However, a quick look at the June 2011 Statistics shows a steady comeback that has been growing for the past 7 months. As buyers (and investors) come back into the market, there are certain complexes that capture our attention and stand out as exceptional. 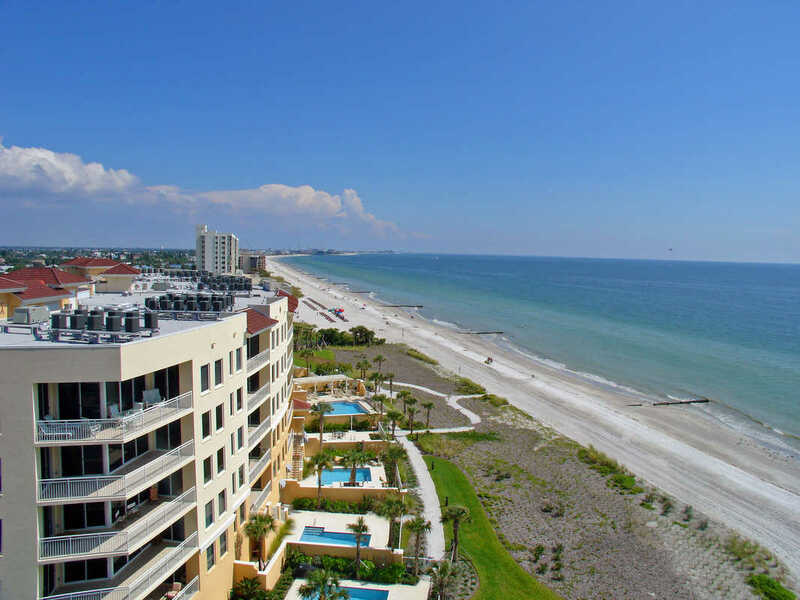 Sereno, directly on the sand in Madeira Beach is certainly one of those special residences! It also has a special impact on The PURTEE Team as we were there from the beginning. In late 2003, Taylor Woodrow (a well know developer from the UK) was set to expand their presence in the Florida market. They had already built the Tides landmark complex in Redington Beach and had their eyes on the gem of a property where the Holiday Inn stood in Madeira Beach. Mark Purtee was hired by Taylor Woodrow to oversee the sales team and set up the sales center once the Holiday Inn was no longer there. Architects were busy creating a look totally unique along the Tampa Bay coastline and the sales center reflected the enthusiasm! There was a waiting list for buyers to sign up and the 44 units that would be available were quickly sold out! Today, 6 years after its completion in 2005, Sereno is still a complex that is praised for its uniqueness and an enviable place to live. 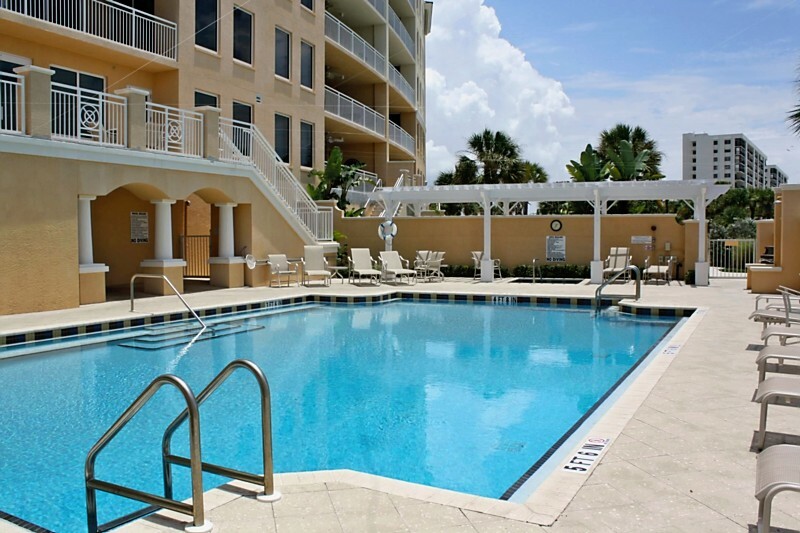 The layout is particularly nice and each unit enjoys breathtaking beach views to the west, but many of the residences actually have intracoastal views as well! Resident parking is under the building in an open garage. Penthouses enjoy 2 spaces and other units have 1 each. Plus there is assigned parking as well as visitor parking outside. The building is divided into 3 sections with 3 separate elevator lobbies. That results in each resident floor having a fully decorated lobby area with only three residences… which helps make it feel private and exclusive. The generous pool area offers residents easy access to the beach and miles of white sand ready for a long run or sunset strolls. There is also a hot tub and bbq grill area. Sereno has a first class club room and separate fitness center as well! In addition to those amenities, there is a full time property manager who is on hand to take care of the complex and residence needs. And inside these 2 and 3 bedroom units, the open floorplans and high end finishes greet each owner as they find out first hand what living on the beach really means! The PURTEE Team is proud to offer both sales and rentals in Sereno. 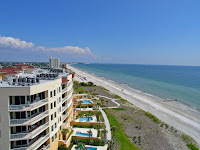 We just listed #604, a 3 bedroom/ 3 1/2 bath penthouse. You can learn more about this unit at http://www.sereno604penthouse.com/. In addition, we offer two other units for seasonal or corporate rentals. You can check these out at Corporate Rentals right on our website. If luxury living on the beach with easy access to an international airport (Tampa), shopping, restaurants and world class theme parks… don’t miss an opportunity to consider Sereno, Madeira Beach! Florida Sounding Good About Now??? When I spoke with a client earlier today, he told me they had over 30 inches of snow this past weekend – a record amount in 1 DAY! 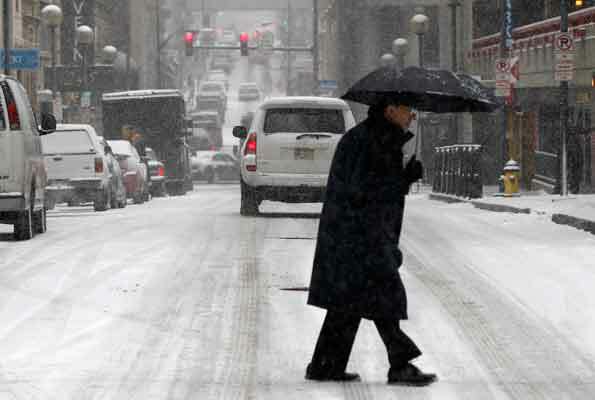 Shoveling snow is part of the daily routine in most parts of the country. Did you know that yesterday, FLORIDA was the only state that was snow-free??? Even Hawaii had snow on top of two of its volcanoes! So is a Florida vacation sounding good? New rental inventory is opening up here in Tampa Bay every day… even for the prime season months of February and March. Even with it unseasonably cold, the Florida uniform is shorts with a sweatshirt or windbreaker. It will be back in the 70’s by the weekend. Check out our Seasonal Rentals, but definitely contact us (even if you don’t find anything) as we know of other properties as well! Plus we learn of new properties all the time. For example, we have a client closing on a beautiful waterfront condo tomorrow. He plans to have it furnished and ready for occupancy by early February. It is not on the website because there aren’t any photos yet. Clearwater Jazz Holiday – A Symphonic Success! What is so great about continually talking about how great it is to live in Tampa Bay is that we really mean it! We actually take advantage and experience many of the arts, festivals and activities that make this area such a desirable destination. The Clearwater Jazz Holiday brought some of today’s most popular and innovative jazz musicians together for a 4 day unique community event FREE to the public. As we gathered close friends and set off to enjoy good music, food and drink, Coachman Park was a perfect venue right on the shores of Clearwater Bay. We brought in our chairs and found our perfect location to see and hear these amazing artists. We truly enjoyed Dr. John on Thursday and Norman Brown on Friday. Saturday evening, after a performance by Soulive, a dramatic fireworks show was displayed that rivaled some of the most elaborate shows. 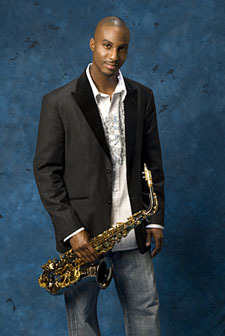 However, Sunday evening we were blown away by both Jonathan Fritsen followed by Eric Darius! Such animated performances and talent… all right there for us to enjoy. Eric Darius (photo above) took the saxophone to an entire new level and we left Sunday night totally satisfied that we had experienced something truly special! Games Of Chance In Tampa Bay? Looking for a Florida casino? There are several gaming options in the Tampa Bay area. There are freestanding casinos like the ever-expanding Seminole Hard Rock Hotel & Casino Tampa, gambling at the track and offshore Florida casino cruises departing docks on the Tampa Bay beaches regularly. Fun awaits for Florida gamers! 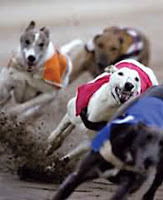 Derby Lane Greyhound Track is not only home to dog racing, but also hosts Live Action & Tournament Play Poker Seven Days Per Week! The Offshore Port Richey Casino is a Royal Casino 1 that stays offshore with regular water taxis ferrying guests to the 465-passenger vessel where Slots, Video Poker, Blackjack, Craps, Roulette, Three Card Poker, and Caribbean Stud Poker await. No… there is no lacking for entertainment right here in Tampa Bay! Spotlight on Ft DeSoto – Award Winning Beach! The allure of a beautiful beach continues to be the number one recreational destination for Americans. These sandy playgrounds that line our Tampa Bay coastal communities are the most extensive natural parks in the country! 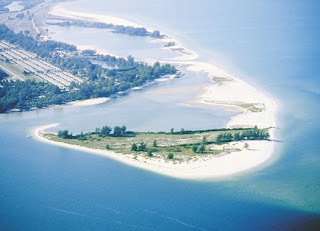 Today’s focus is on Fort De Soto Park, whose North Beach consistently heads the Top 10 Beaches list. Named America’s Top Beach for 2009 as a Pristine Area Favorite and Lauded as “Portrait of Tranquility”, Fort De Soto Park was named America’s Top Beach for the second consecutive year by TripAdvisor, the world’s largest online travel community. Citing a “spectacular combination of soft white sand, calm, clear water and a laid-back atmosphere,” the popular online travel network put the park’s North Beach at the top of its annual best-of list, based on TripAdvisor’s Popularity Index. This marks the second time in three years the pristine Pinellas County beach has received top honors on an annual “best-of” list. In 2005 Dr. Stephen P. Leatherman, a.k.a. “Dr. Beach,” named Fort De Soto the nation’s #1 Beach . With over 7 miles of waterfront, including 3 miles of spectacular sandy beach, Ft Desoto offers a wide range of activities from its active camping ground to its notable nature walks. Shell collecting and bird watching are also high on the “must do” list at the park.